Food has always been a central part of Danish culture. Anyone who’s ever been invited to a Danish party will confirm the national obsession for gathering socially to dine around the indispensible “long table” around mid-afternoon, only to remain there until late into the night. There’s always a mountain of food remaining, but Danes can do wonders with leftovers. It’s presumed that the national dish smÃ¸rrebrÃ¸d originated for exactly this purpose””rye, an incredibly long-lasting bread type, topped stylishly with what’s in the fridge that morning. In the early “˜90s, these traditions seemed to be disappearing, tossed aside in favor of global ready-made goods new to supermarket shelves. Then in 2004, quite unexpectedly, the world’s most select food critics began taking an interest in the “˜New Nordic’ restaurant noma; in the space of six years it was being proclaimed best restaurant in the world. First coined by noma’s co-owners Claus Meyer and Rene Redzepi in 2004, New Nordic Cuisine is authentic cooking using seasonal, locally-sourced ingredients indigenous to the Scandinavian region, favoring old techniques like smoking and pickling over newer, artificial forms of preservative. With tables booked for the foreseeable future at noma, New Nordic Cuisine continues to influence the food culture in Denmark; another Nordic eatery, the more casual Restaurant Radio in the Frederiksberg area of Copenhagen opened in 2011, and the movement is finding its way into all corners of Danish society; in its schools, its museums, its takeout stands and even its prisons. In the fall of 2011, Meyer’s Melting Pot Foundation launched a New Nordic cooking school for 20 inmates at the Danish state prison of VridslÃ¸selille west of Copenhagen, a closed facility housing some of the country’s hardest criminals. The pilot project included classes not just in the kitchen but also in growing vegetables, and was eagerly followed by a documentary film crew. After two months, the cooking school culminated in a pop-up restaurant “Ukrudt“ (weeds), where guests from outside were invited to dine in unusual surroundings. The eight-part story of the Restaurant Behind Bars is currently being broadcast on national Danish television. Meyer, who is also the host of the BBC food series New Scandinavian Cooking, is involved in all aspects of food production. 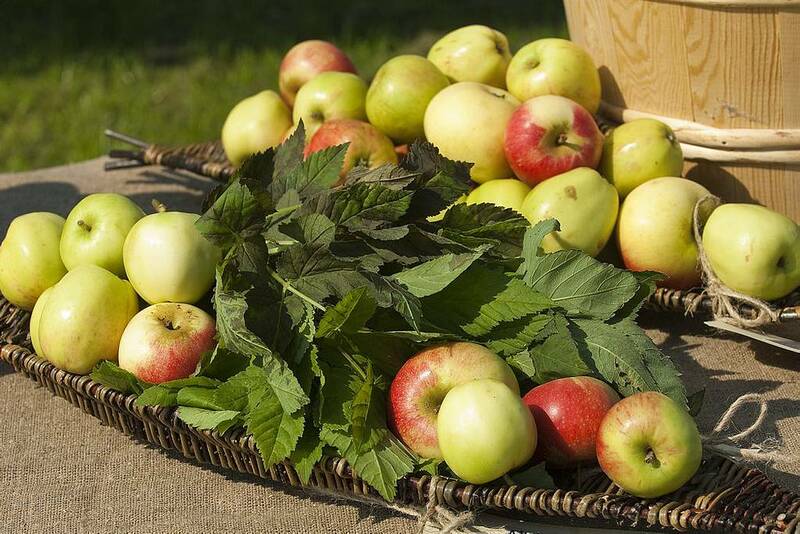 His orchard on Danish island, LilleÃ¸, harvests apples, not just for their own sake, but as a base for vinegar, relish and cold-pressed juices. This humble fruit is a staple ingredient in many New Nordic dishes, sweet as well as savoury: Meyer has so far recorded some 700 apple varieties throughout Scandinavia. Though less remote than its northern neighbors, Denmark encompasses over 400 islands, about 70 of them populated. Developing without connected bridges, many islands have their own distinct food culture; take LÃ…sÃ¸, known for its salt-works, where salt is still refined according to traditional methods, and SamsÃ¸””once the site of the Viking parliament, “ting“, thanks to its location as the center of Denmark””producer of many of the nation’s staple root vegetables, including potatoes, onions and pumpkins. Still richer in raw materials is Bornholm, the “pearl of the Baltic”: A popular holiday destination, this gourmet hotspot provides cottage production in everything from toffees and ice cream to rapeseed oil and mustard. The years when Bornholm cuisine was known only for “Sol over Gudhjem,“ a smÃ¸rrebrÃ¸d made with a lightly fried egg resembling its namesake, the orange, yolky sun rising over the sleepy Bornholm town of Gudhjem, are over. The island’s rich potential is attracting attention in Copenhagen, which now boasts two slow-food restaurants specializing in Bornholm cuisine, Koefoed and Kadeau. At Koefoed, everything is traceable: The restaurant recently complemented its island sheep flock with a free-range herd of Limousin cattle. 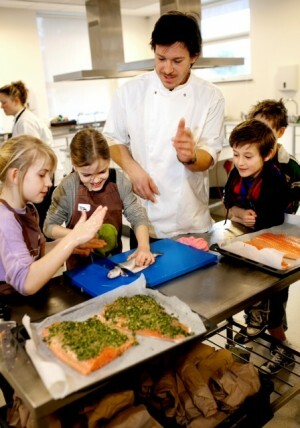 Danish schoolchildren are also getting a piece of the slow food pie. Hot school dinners made with locally-sourced ingredients have been the main course of a project coordinated by the University of Copenhagen’s School of Life Sciences. A scientific first, the large-scale research project hopes to determine whether a locally-sourced diet could actually improve concentration levels and aid learning. For a three-month period, schoolchildren from a selection of schools around Denmark traded lunchboxes for a select menu card of artichoke and celeriac soups, wild venison patties with sides of cauliflower, and old-fashioned apple cake served with rye bread soldiers. The process required taking an active role not just in sampling the food but also in its preparation. The results of the study are due to be published in spring 2013. Key to the New Nordic Kitchen is the rediscovery of ancient food stuffs and preparation techniques. 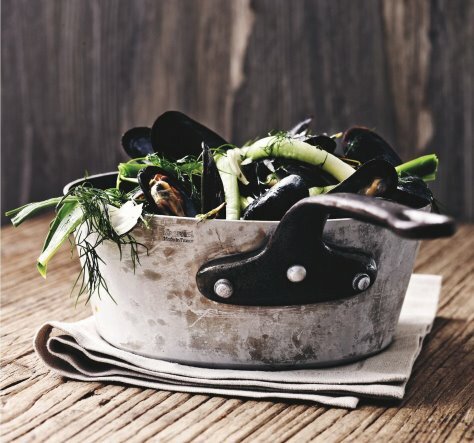 In summer 2011, cooperation between Roskilde’s Viking Ship Museum and the nearby restaurant Snekken resulted in a Viking feast, New Nordic Viking Food. Part historic re-enactment, part dining pleasure, the night of authentic Viking food was prepared according to 1,000 year-old cooking methods. The culinary success was repeated in January, with more historic feasts planned in the coming year. Read more about Meyer’s projects here. British by birth, Jane Graham has travelled around much of Europe and some other places too. Settled in Denmark, she advises and writes for a number of travel guides and blogs regularly for NileGuide. More food enthusiast than foodie, she lives just outside Copenhagen with her partner and four children, freelancing as writer and translator.